Digital devices have invaded our modern lives. With televisions, laptops, and tablets becoming easier to acquire, children, adolescents and adults are becoming increasingly addicted to these gadgets. 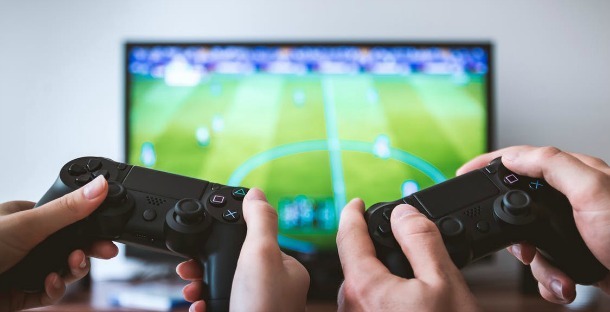 As many modern parents will know, it is particularly challenging to curb the video game addiction in children as they tend to get stuck in the reward loops that such games create. In this article, Swati Verma shares ways to curb your child?s video game addiction. If you are concerned about the amount of time your child spends playing video games, you are not alone! A study published in Clinical Pediatrics revealed that nearly 50 percent of kids aged 6 to 18 years spend more than two hours per day on recreational screen time. This includes 16 percent of kids who spend more than four hours each day in front of the screen. If you think your child is on his/her way to becoming a video game addict, here are seven ways in which you can curtail this compulsion. Your child looks up to you and often tries to imitate your behaviour. Thus, it is important for you to have a healthy digital media lifestyle to begin with. If your child constantly sees you reading messages on your mobile phone, watching television until the wee hours, or working on your laptop at the dinner table, he/she will want to follow suit. Spend media-free moments with your child by playing indoor games like Scrabble and Monopoly, reading him/her a book, or working together on a science project. Because your child learns from his/her environment, make sure you choose healthy media habits. Do you use video games to pacify your child or keep him/her occupied while you are busy catching up with a friend, cooking a special dish, or working on a crucial presentation at home? For numerous years, parents have relied on electronic screens like the television, computers and video games to keep their kids engaged. According to Harris Interactive, more than 60 percent of parents with kids below 18 years have used smartphones or tablets to soothe or distract them while they are busy. The increasing dependency on electronic gadgets can have a crushing impact on your child in the long term and is one of the major reasons for video game addiction. Avoid using video games as a way to placate your child or keep him/her occupied merely because you want to enjoy a few moments of peace and quiet. The entertaining world of video games may seem too real to your child. The victory achieved when playing a game can be extremely satisfying, making him/her want to go back to the game. If that?s the case with your child, have a chat with him/her and explain that video games are merely for amusement. Make it clear that the success achieved in the virtual gaming world has no connection with real life. He/she must use video games as a source of entertainment only and get back to earning real success in life, like acquiring better grades and learning new skills. The American Academy of Pediatrics recommends that the screen time for children in the age group of two to five years should be limited to an hour a day. For kids aged six years or more, parents must decide on the time spent in front of the screen (no more than two hours per day). Set a fixed time during the day when your child will be allowed to play in moderation. Make it clear to your child that he/she is allowed to play video games for a specific amount of time each day (one or two hours only). You must make sure that you consistently and strictly adhere to this time limit. If you show leniency even once in a while, you will be giving the wrong message to your kid and he/she will not take you seriously in future. Video games are designed to be addictive, which is why kids love playing them incessantly. Use this tip if your child isn?t prioritising his/her real-life activities because of video game addiction. Explain to your kid that he/she will get one or two hours of video game time once he/she has accomplished certain crucial real-life tasks like completing the homework, finishing a school project, organising his/her room, or clearing the dinner table. Tell your child that failure in fulfilling these tasks will lead to him/her missing the gaming session. Similarly, allow your kid to play only if he/she has achieved a certain grade or has fared well in a test at school. Video games can sometimes be your child?s escape route when he/she feels neglected or finds it tough to relate to his/her environment. If this is the case, urge your child to mingle with other kids by taking him/her to the park regularly. You can also inspire your kid to get involved in a sport of his/her choice. Go out with your kid for a game of baseball or lawn tennis, or organise a family picnic. The physical activity will keep him/her fit and improve his/her social and cognitive skills. Your kid will also love spending time with you and will soon prefer fun outdoor activities over sedentary video games. Let your child follow his/her creative pursuits. If your child loves clay modelling or making structures using Lego, for example, allow him/her to indulge in that. As a parent, you are best aware of his/her likes and dislikes. Accordingly, do what it takes to get rid of the video game addiction. Pursuing an interesting hobby or a personal interest like origami, calligraphy, painting, stamp collecting, or playing a musical instrument can also engage your kid in something worthwhile. A hobby can teach your child the importance of patience and discipline. Moreover, following a hobby is an excellent way to make use of one?s time and energy. Encourage your child to join a library, or enrol in hobby camps or the local music academy. Consider involving your child in your routine activities like cooking, cleaning the garage, washing the car, or mowing the lawn. Engaging your child in alternative activities will make him/her feel great and will take his/her mind off video games. Bear in mind that a gaming addiction is a sign that your child is facing a bigger underlying problem like boredom/neglect, inability to relate to the outside world, or even a problem at school. Understand his/her concerns and use the above-mentioned tactics to manage your child?s video game addiction. About the Author: Swati Verma is a qualified dietitian and health specialist. She has a Masters degree in Dietetics and Food Service Management. She is a strong believer in spreading the goodness of ?nutrition through healthy eating?. As a responsible dietitian, Swati examines her patients? health history carefully before recommending any diet or workout regimen, because everybody has different requirements. Home page image by Pexels.